Global mobile virtual network operator (MVNO) connections are forecast to reach 85.6 million by 2015, and revenues are expected to be $9.5 billion. Our MVNO and MVNE customers are among the most dynamic and innovative players in mobile telecoms, capturing revenues from an expanding market. Jinny offers a full network implementation and launch for Mobile Virtual Network Operators and Enablers. 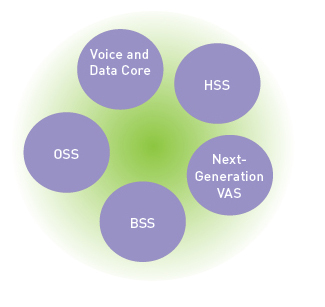 From voice and data core to HSS, from OSS to BSS, Jinny provides every element of the operator’s network systems and delivers them as a fully-integrated solution. Jinny has selected best-of-breed partners and combined their areas of expertise and excellence into a tailored solution for the MVNx market. As the solution prime, Jinny will provide the MVNO/E team with a single point of contact for the implementation phase and for in-service support. As a leading provider of MVNO/MVNE solutions, Jinny builds and supports the full network requirement of a virtual operator, where all solutions are delivered quickly and are designed to allow easy modification of the architecture and service offerings. In addition, where the customer is an MVNE, the entire architecture easily supports multi-tenancy so that many MVNOs can be supported and managed on the same solution for VAS, billing, performance management and reporting. To support the live network, Jinny offers 24/7 support across the globe and can provide the MVNO with a single point of contact for all service issues.